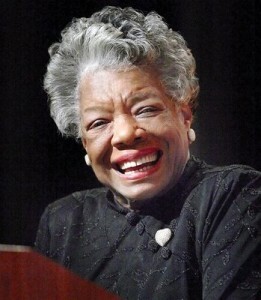 There has been so much written about Maya Angelou that I’m fairly sure you will have heard or seen this before, but it’s so lovely and inspirational I make no apology for reproducing it once again. Enjoy and share with those you care about! This link will take you to Maya’s official site. And incidentally, Maya is now in her eighties and still phenomenal! Thanks Naomi, I’m glad you enjoyed it, although all credit for this one to Maya!